It's Thanksgiving in the US, and for everyone else a reminder that the festive season is right around the corner. We have the usual Download Update details for North America, and this week there are tempting Virtual Console options on both current-gen systems, a couple of Nindie efforts on Wii U and a rather colourful, high-energy 3DS retail game. Let's get to the details. Missed the European Nintendo Download Update? Don't sweat it, the details are still right here. Citadale (Nitrolic Games, $5) - A rather stylish 2D action game that brings to mind GBA / DS-era Castlevania titles, or perhaps earlier games in the series' lineage depending on your perspective. You attack and defeat dark forces, of course, and we gave it a recommendation in our Citadale review. Octocopter: Super Sub Squid Escape (TACS Games, $2.99) - In this game you move your constantly spinning submarine through maze-like stages, with careful timing and patience important for success. The Legend of Zelda: Majora's Mask (Nintendo, $9.99) - This isn't a game that needs much of an introduction. An iconic follow-up to Ocarina of Time that was nevertheless missed by some N64 owners at the time, it's established itself as a treasured part of the franchise. Also available in remastered form on the 3DS, it's worth noting, nevertheless it's now available to download on the Wii U; we gave it a hearty recommendation in our Majora's Mask review. Dragon Ball Fusions (Bandai Namco, $29.99) - The latest entry in the popular series, this is an RPG that allows players to fuse characters together in strange combinations, while also being heavy on anime ingredients. The combat uses a rock/paper/scissors approach to and there's also multiplayer battling. Breath of Fire II (Capcom, $7.19) — Nintendo's classic 16-bit console is revered for many things, but one of its strengths was surely the abundance of RPG adventures that it brought gamers keen for an adventure. This may be a sequel on the Super NES, but it offers up just that kind of experience while being undoubtedly old-school — and harsh — in its approach. We nevertheless gave it a recommendation in our Breath of Fire II review. Don't forget that 'Cyber Deals' are also live now on the eShop in North America; we've listed all the discounts on this page. Standard deals can also be found on the eShop and Nintendo's deals website. Huh, I had no idea Majora was not already on Wii U. Either way the 3DS version is the definitive version to get. Bought Dragon Ball Fusions Tuesday, I've enjoyed it so far. I love customizing my characters,i loved Xenoverse. I'm not very far in the game but it's good thus far,different from what the usual games are.. If NoA ever got off their duffs and brought over Fatal Frame: Crimson Butterfly Wii Edition someday that'd be swell. Nothing for me. Still playing Sun and Moon. Plus I am getting my son a black New Nintendo 3DS tomorrow and see if I can swing one for myself since mine is a dirt magnet and it's bothering me too much. Plus I need to save up for Christmas presents and my youngest son's 1st birthday presents. @Zach777 never came out in the US, so I doubt it will ever appear. Nothing for me this week. Back to Pokémon Moon! Does Majora's Mask offer a discount for people who owned the Wii version? Nothing for me this week. I would like to be downloading Darksiders Warmastered Edition on Wii U this week, but I guess that'll have to wait. @JHDK yeah, I couldn't go back to the N64 version after playing the much improved remaster. Neither did a few of the games that have been coming out in the US until VC changed the game. It could happen. @Zach777 a Wii Game is not VC though. Ooh, that Kururin rip off looks pretty fun, actually. Don't want to say this, but...nothing for me this week. Happy Thanksgiving everyone. I hope you all are spending time with the people you love. We all should be thankful for what we have and cornbread stuffing. I'd still recommend Majora's Mask 64 over the 3DS version. All the bosses except Twinmold are just...wrong. Also there's WAY too many hints & added crap that wasn't in the original. Save system is vastly superior though. @ejamer I just checked and I'm not getting the discount despite having had the game on my transferred Wii. What the heck, Nintendo? Why is there no discount for these who transferred over Majira's Mask from Wii VC? Is Nintendo just being greedy or careless? @Don Glad to know I'm not the only one this happened to. But, yeah, this is garbage. I'm going to download Majora and see if this plays any better than the Wii version. That version had serious joystick deadzone issues whenever aiming with the bow, plus some serious lag. I did enjoy the Wii U version of Ocarina. Despite some small lag, it had the best graphics emulation. It certainly looked much more closer to the N64 original than the Wii and GCN releases. Yay Majora's Mask! The one console Zelda game I never finished. 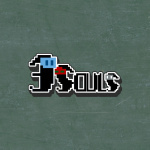 I'll be downloading that one for sure, along with the 3Souls demo. Adding my name to the list of people who purchased the game on Wii, but is not being offered a discount on Wii U.
I'm also not seeing the Wii virtual console discount on Majora's Mask. If it's not there by the time I get home from work this afternoon I am tempted to contact Nintendo. @AG_Awesome It is unlikely the original Star Fox will be re-released on Virtual Console due to old, unresolved legal issues with all the Super Nintendo Entertainment System games that supported the Super FX chip. 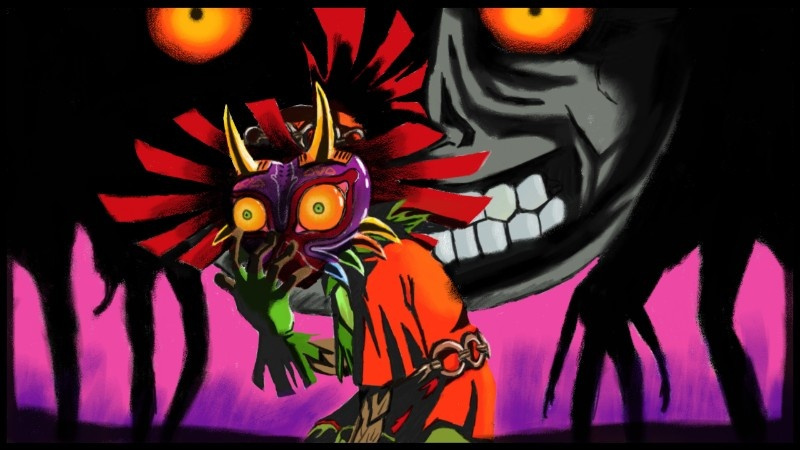 Nintendo has ruined Thanksgiving with this Majora's Mask discount fiasco. Throw out the turkey and tell the kids that they won't be seeing grandma this year. @Stu13 Haha I will be calling Nintendo tomorrow to tell them they ruined my a Thanksgiving by not giving me a discount so I can't play it on Wii U, never mind I can play the same game on Wii mode, on 3DS, GameCube and of course the original N64. Pretty disappointing and means I'm not grabbing anything this week. @JHDK 3DS version is better in regard to the updated graphics and interface. However, the original N64 version is the definitive one because there isn't so much "hand-holding" as there is on the 3DS version nor the N64 version is "nerfed" as its 3DS remake. All that been said, our preferences are subjective. @Don I know right? I hate being such a Zelda fan. Here is my money on another Zelda port. LoL! I play enough games on 3DS that should be on the big screen so I will DL Majoras Mask when the discount is sorted. Sweet! I've been waiting to upgrade Majora's Mask! Me and my fiancée have been playing through all the 3D Zelda games (so far we've played through SS, WWHD, and currently TPHD), and playing through the original versions of the N64 games on a TV will be easier than playing the remakes on a small screen. I'll probably drop the two bucks on upgrading Majora's Mask, though don't really need to since I have the 3DS version. Would be great to have MK64 on the Wii U VC here in NA at some point. Wii VC works but I personally don't have enough classic controllers to go around. That and honestly it just makes no sense to not have it yet. @Slim1999 The question is will they fix it so we get the discount for having the Wii VC version. I don't know if a I have the patience to play Breath of Fire 2. I finished it way back in the SNES along with the first one, I remember them being hard as nails. However, I will give it the old college try. They were fun but lots of grinding. I can't remember if it was fixed in two but the first Breath of Fire didn't tell you how much experience you needed to the next level. So aggravating, especially near the end game. No, for me it does NOT offer a discount. Checked yesterday and there was no discount. Checked again today after seeing your post, and still no discount offered. I do own the Wii VC version of the game, and have never had a problem upgrading games before. Where are you located? I'm in Canada, so maybe it works correctly in the US? @ejamer I'm in the States and I just checked again to find that there's still no discount. I'm shouting and shaking my fist at the gamepad but it doesn't seem to be helping at all. I'm not upset about it, but do find the lack of discount curious and mildly disappointing. It only takes an extra minute or two for me to start the Wii emulation and play that version. So slightly less convenient... but really not a big deal. If there was a discount offered I'd pay to upgrade just on principle; since there isn't, I'm going to save my money. Does the N64 versions have the rumble option?, that is perfect por Zelda N64 games. Glad to see I'm not the only one missing the discount thing. Not being snooty, but I refuse to pay the full price when I have the Wii Shop Channel release. Especially after being used to the generous upgrade prices. I'll just stick to the Wii mode and 3DS remaster until they fix it. For those without ever having Majora's Mask, $10 ain't bad. It just isnt great for those of us who already own the game. I didn't get the discount either. Hopefully Nintendo amends this soon because I won't download it until then. okay, so it's happening to everybody. kinda looks like nintendo did this on purpose, which is just ugh, why? anyway, everybody get online to play frn! @Pokefanmum82 you sure you arent getting new black new 3ds? lol or is it a used black new 3ds? Will be picking up Breath of Fire 2 eventually, but I've still got Pokemon Sun to finish, along with I ordered Battlefield one for my PS4 on black friday and a friend gifted me the division for my PC too many games. Also I got a free copy from a friend of Shin Megumi 4 that I'd love to get some more time in eventually. I got awhile with not many games to play and then within a few weeks I've got enough for awhile lol. @ejamer The same thing happened to me a few days ago,I contacted Nintendo's customer service and they fixed the issue. Awesome - from what I've read online, this should be fixed for everyone now? I'll have to look and see. @ejamer While they fixed the issue for me, I can't speak for everyone else,but if they haven't fixed it for you then call the Nintendo customer service number to inform them about your discount not working.